There’s Good News for US Taxpayers this April 15th! 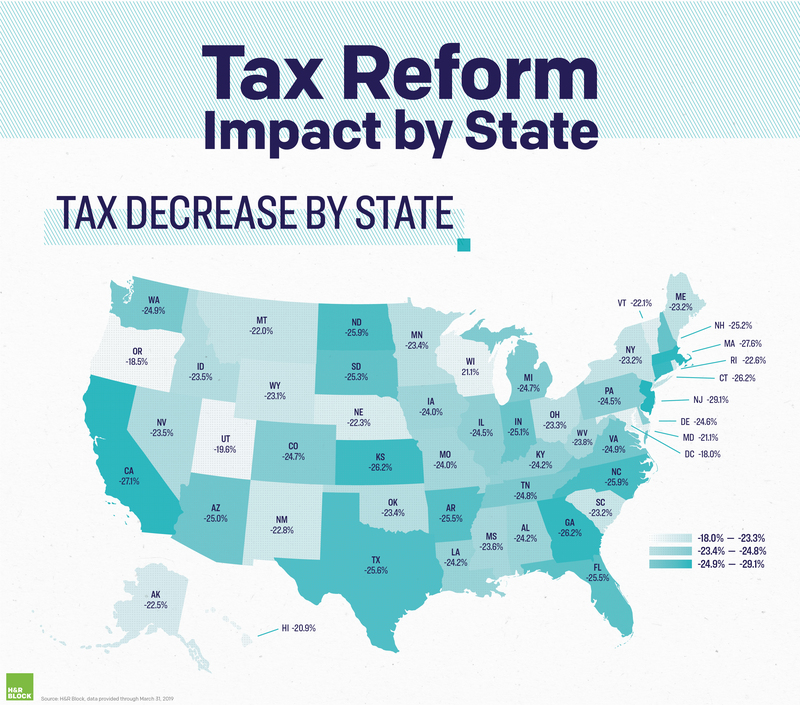 H&R Block reports the Tax Cuts and Jobs Act reduced their client’s taxes by 24.9 percent on average! 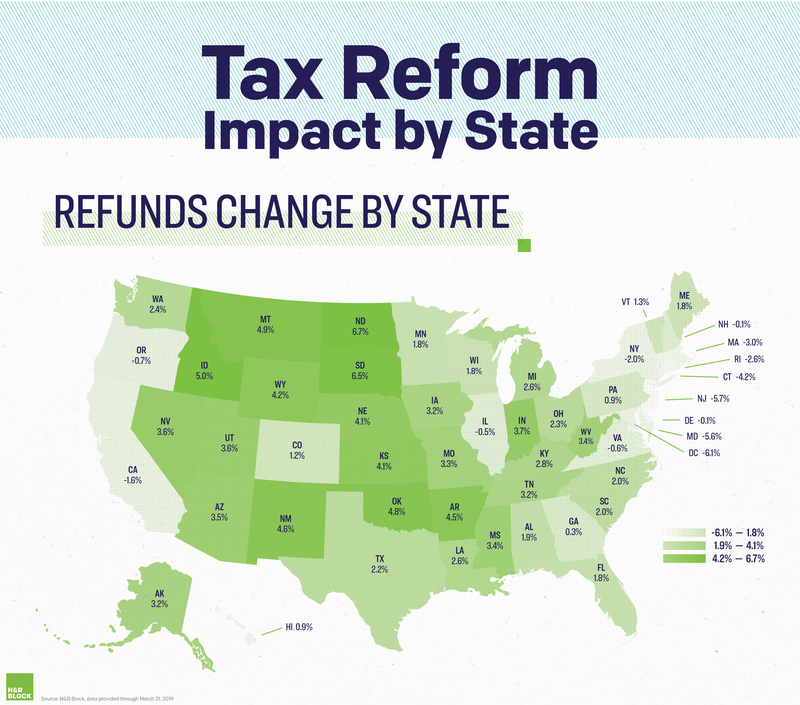 “H&R Block data through March 31, 2019 shows the size of its clients’ tax refunds is up 1.4 percent under the first year of tax reform and new withholding tables, while overall tax liability is down 24.9 percent. Nearly 80 percent of Americans did not update their W-4 last year, resulting in a bump in their paychecks throughout the year. H&R Block data shows their average tax liability down nearly $1,200 on average, but refunds up just $43, so an average of $1,156 went into paychecks during the year. Leaving of their income with people and businesses was a goal of the Tax Cuts and Jobs Act. The White House Council on Economic Advisers Report on 12/28/2017 estimated that tax cuts would grow the economy by 3% over 10 years, resulting in more revenue and greater economic opportunity for all Americans. Good News for New Hampshire Taxpayers! Based upon the H&R Block data, their New Hampshire clients saw overall tax payments go down 25.2 percent! Also interesting is that even high (income, sales, property) tax states (CA, NJ, MA) showed reduced payments. Click here for the H&R Block report showing their client’s taxes reduced by 24.9 percent on average!